Dr. Chan is respected for his work in electrophysiology and his passion for advancing heart disease treatment. He has several notable publications and has participated in major clinical trials involving catheter ablations and device implantation. 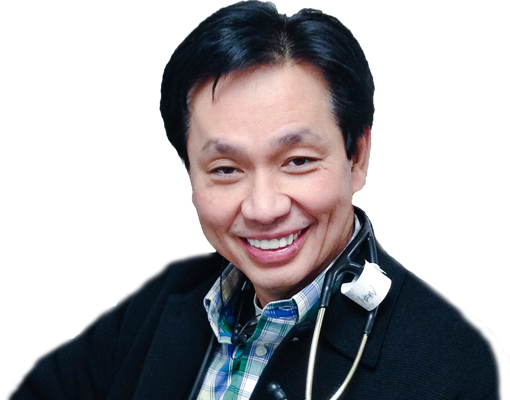 Dr. Chan is known for being the first to implant the smallest cardiac defibrillator. A frequent national lecturer, he has made numerous presentations to the American Heart Association and the American College of Cardiologists. He specializes in cardiac electrophysiology, including heart rhythm assessment and diagnostics, pacemaker and implantable cardiac defibrillator implantation and management, electrical cardioversion and radiofrequency and cryoablation for atrial fibrillation. He trained at the Mayo Clinic Graduate School of Medicine where he completed his Cardiac Electrophysiology and Cardiovascular Medicine Fellowships. He is board certified in Clinical Cardiac Electrophysiology, Cardiovascular Medicine and Internal Medicine. He spent two years at Johns Hopkins University Hospital doing basic research in pacing and heart failure.